When I first started getting in to perfume I, like many others, spent a decent amount of time lurking the Basenotes forums and learning that there is just so much more perfume out there than one would think. During my months of discovery I came across the word ‘niche’ for the very first time and back then my understanding was that ‘niche’ described ‘special’ and ‘artisanal’ perfume – descriptions that may not be applicable today. My first experience with niche perfume was with CREED, a brand that has many fans and many detractors, and it was a decant of Silver Mountain Water that opened my eyes to the startling fact that perfume could smell unusual. Whatever your opinion is of the CREED dynasty it is hard to deny that they have made a number of rather decent perfumes – Silver Mountain Water being one and Green Irish Tweed, Millesime Imperial and Virgin Island Water being others – and whilst I may have not paid the brand much mind over the last few years I cannot deny that they have a knack for creating classic and elegant perfumes. 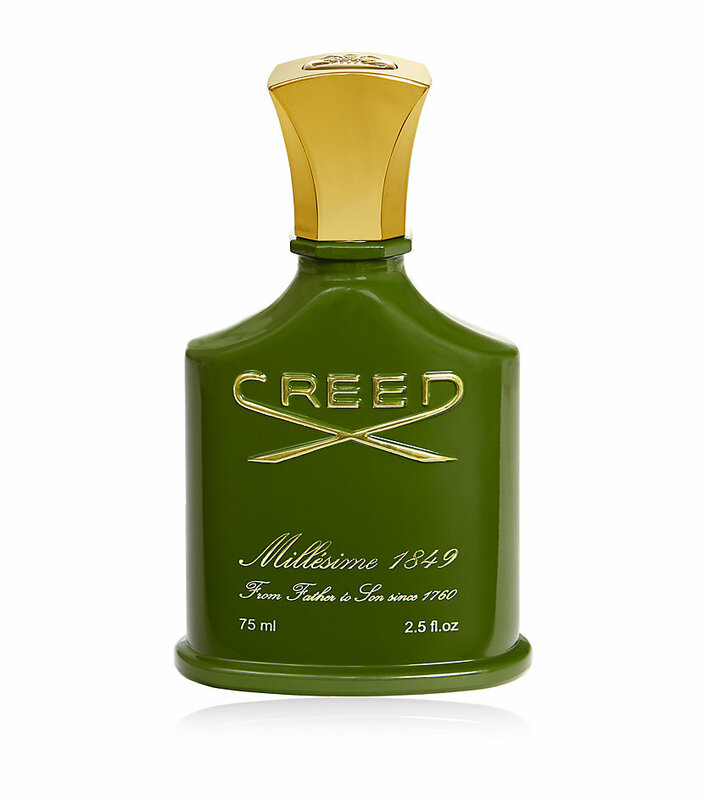 CREED’s latest offering is Millesime 1849, a perfume that has been launched to commemorate the birth date of London’s premiere shopping destination Harrods – a place that is as much as tourist attraction as it is a department store. Millesime 1849 aims to capture the spirit of one of London’s most famous addresses and the “imperial epoch which inspires its name, as well as the glorious reign of Victoria”. Initially Millesime 1849 is distinctly tropical, showcasing a floral cocktail of jasmine and ylang-ylang that is intense, heady, rubbery and accented by pepper. It’s impossible not to draw comparisons between Millesime 1849 and Guerlain’s Samsara, especially in the initial stages when the CREED veers dangerously close to being a complete smell-alike, capturing the 80s hedonism of the Guerlain. Thankfully the similarities diverge as the fragrance develops into the base. Where Samsara relies on steady streams of creamy sandalwood and vanilla, Millesime 1849 opts for a darker approach with rich base of smoky woods, oud and musk that verges on the masculine creating a nice twist on a familiar theme. The smoke plays on the intense, rubbery quality of the flowers and gives the impression of ageing blooms caught on the warm summer winds. Millesime 1849 sits firmly within the ‘nicely made’ category but is a victim of its style and if Samsara didn’t exist I’m pretty sure I’d be hailing it as something wonderful, unfortunately I just cannot shake the Guerlain association. Also, as great as it smells it doesn’t evoke the spirit of Harrods for it is far to classy and thankfully doesn’t capture the gaudy decor of London’s most famous store. So, swings and roundabouts I guess? Millesime 1849 is available exclusively to Harrods in 75ml Eau de Parfum for £225. Sample, notes and quotes via CREED. Image 1 via harrods.com. Image 2 via CREED Facebook Page. Posted in Creed, Floral, Oriental, Perfume Reviews, Unisex, Woody and tagged Creed, Floral, Guerlain, Harrods, Limited Editon, Oriental, Samsara, Woody. Bookmark the permalink. Thank you for that rarest of things… a balanced and clear sighted review of a Creed! As you so deftly point out, opinions tend to diverge so dramatically on the work of the house that any appraisal of actual aromas seem often to evaporate. The idea of a darker cousin to Samsara is actually rather pleasant, one wonders why Guerlain, always so keen to bring out ‘new’ Shalimars haven’t tried it themselves. And the fact that it doesn’t the baser and more bling parts of the store is a draw, so I’ll try, but with your ambivalence leads me not to expect too much. Isn’t that just the truth. I do get very bored of the whole CREED discussions on fragrance boards, the actual scents get bogged down in a sea of questions re batch numbers. Very dull! I’d quite like to see a more masculine Samsara – just imagine a Samsarah Pour Homme! This one is worth a sniff if you come across it. What about Piguet’s Knightsbridge- is it better interpretation of Harrods theme? Best regards! I haven’t tried the Piguet unfortunately! I always thought Creed to be tacky rather than classy. If they reduced their prices, things might actually appear justified and the whole brand might fall into place. Sounds like a lovely perfume though all the same, I’m guessing it’s just a bit “been there done that” overall? Perhaps! Their prices do seem to have risen quite a bit over the last few years. Definitely a case of been there done that, but it’s nicely done. Aah, it always makes me smile to think of the Creed Wars being waged on Basenotes. It’s nice that people can get so worked up about perfume. Too funny that you say this too classy to represent Harrods. Something flashy could have been quite fun. Aah, it makes me smile to think of those waging the Creed Wars on Basenotes. It’s nice that people can get so worked up about perfume. Too classy for Harrods, ha ha! Something flashy could have been fun. They really go to war over on Basenotes, don’t they? How bizarre that they should have done a copy of Samsara….I am bizarrely intrigued. How can that possibly tie in with London? It’s a funny idea isn’t it? I don’t quite see the link with Harrods but it’s a nice scent, very un-CREED in its style. Let’s hope it holds its value!